Wow! These brownies are awesome! I just love the way you swirled the frosting. They look so over the top - cut me up a plateful! Hope you like the banana bread. It looks so good! I just came from Nanns post,got to go and find something sweet now! Beautiful!!! love the swirl and a delicious sounding recipe! Oh, these sound really good! I LOVE chocolate and peanut butter so I will definitely try these. Thanks so much for sharing the recipe and joining me for tea today. Those look really yummy, and I've been dying for some chocolate all day Kitty! Just let me get my glass of cold milk, and I'll be ready to try one. Thanks for sharing this easy recipe at my party. Have a great week! oh they won't notice if you cut it all up and a few are missing, yummy! it looks really delicious. I would love to try it but I fear that is another way to gain weight. I am making brownies for dessert tonight..and I am just looking at the box and thinking of things to add...I am going to make this tonight..I am just wondering how the marshmallow cream is going to be dropped because I have a generic kind and it is sticky...thanks!! Hi Kitty. I've so got to find a supplier of marshmallow creme here in Australia. I need it as a pantry staple, especially after seeing this. Oh my goodness- sounds divine! I saw these when you posted them the other day and sure hoped you would bring them to share with us. Your Gooey Peanut Butter S'More Brownies look amazing and I just love the finished, very creative look. Stay warm today it is so cold and rainy, these treats would be so good with my coffee. 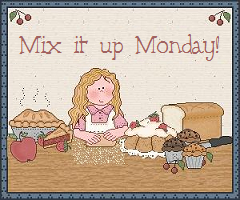 Hope you are having a great week and thank you so much for sharing with Full Plate Thursday. Sounds delicious--thanks for sharing the recipe!